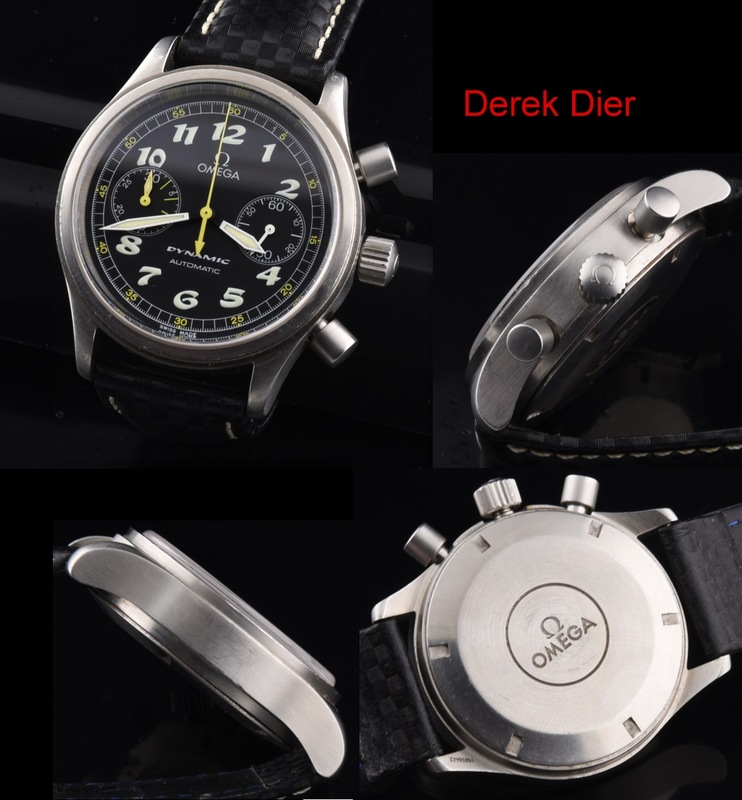 This 1990’s OMEGA DYNAMIC chronograph is a large 38m.m watch housed in a thick 12.5mm OMEGA steel case; having oversized pushers and OMEGA winding crown. The automatic caliber 1138 44 jewel OMEGA movement is cleaned and accurate. 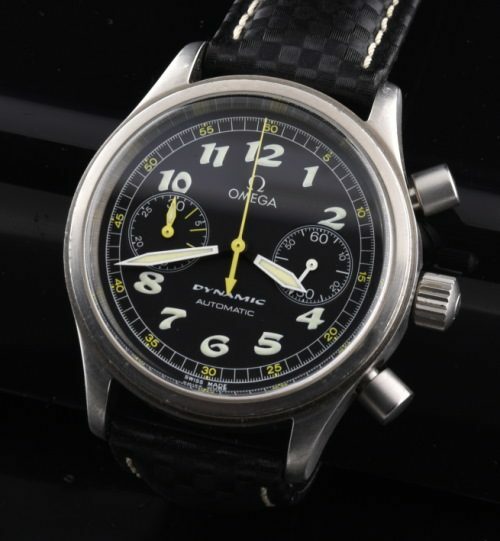 Take a look at the original vintage looking dial with yellow accents…wow! The OMEGA DYNAMIC is one of those modern OMEGAS that remind me of a vintage watch; with its bold (brightly glowing luminous) dial. Just $1495.